Indians looking to buy homes in 2019 have a very compelling rationale to opt for ready-to-move (RTM) homes, which – apart from being exempt of the 12 percent GST ambit – are available plentifully. As per Anarock data, out of the total 6.73 lakh units of unsold housing inventory, nearly 85,000 units are currently ready-to-move-in across the top 7 cities. Interestingly, out of these total unsold ready-to-move options, nearly 60 percent units are in the affordable and mid segments priced below Rs 80 lakh. Currently, the bulk of end-user as well as investor demand is skewed heavily towards affordable and mid segment properties in this price bracket. In fact, Anarock’s consumer sentiment survey also revealed that nearly 67 percent aspiring homebuyers preferred to buy properties within this budget range. This is not surprising, as most of these properties indeed offer a good value proposition with the least amount of risk. However, the caveat that a ready-to-move-in property must have the benefit of a completion certificate to benefit from 12 percent GST exemption must be borne in mind. 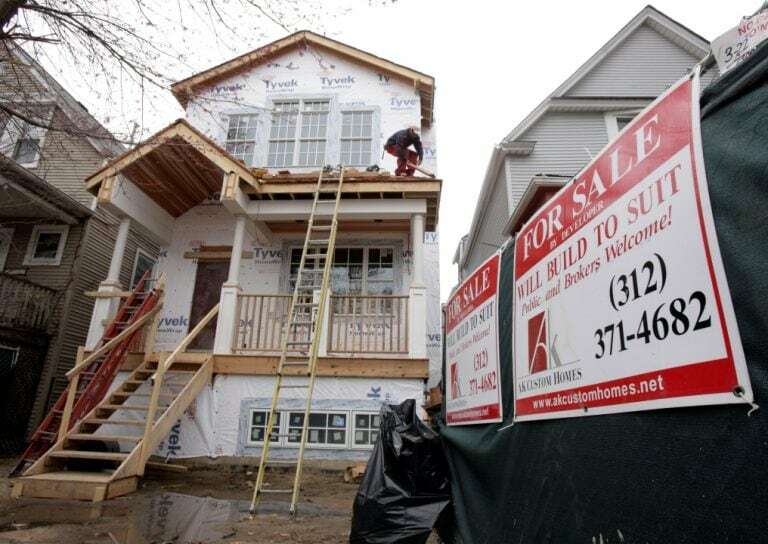 The previously significant price difference between ready-to-move-in and under-construction properties is narrowing down because of the massive unsold stock in most cities. However, the additional GST charge on under-construction options is impossible to ignore. In other words, the fact that such a massive supply of RTM options on the market makes most buyers’ preference a bit of a no-brainer. 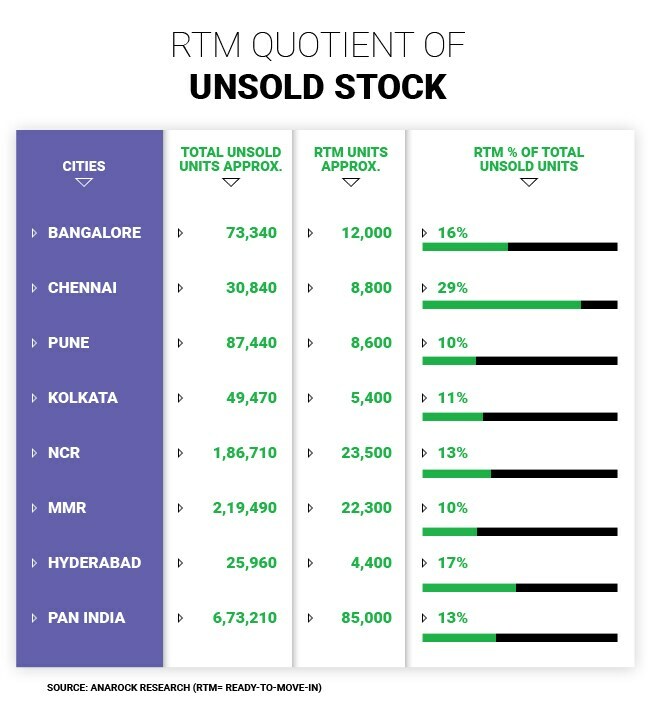 On taking a closer look at the data, it emerges that NCR and MMR (Mumbai Metropolitan Region) are the cities with maximum unsold ready-to-move stock. Together, they account for nearly 54 percent of such stock in the top 7 cities. Hyderabad has the least amount of ready-to-move stock with just over 4,400 units. In terms of budget segmentation too, MMR and NCR have the maximum available ready-to-move stock in the affordable and mid segments (below Rs 80 lakh) – together accounting for 55 percent of the stock in the main 7 cities. Pune has an equal mix of ready-to-move properties priced below Rs 80 lakh and properties priced above this budget range.